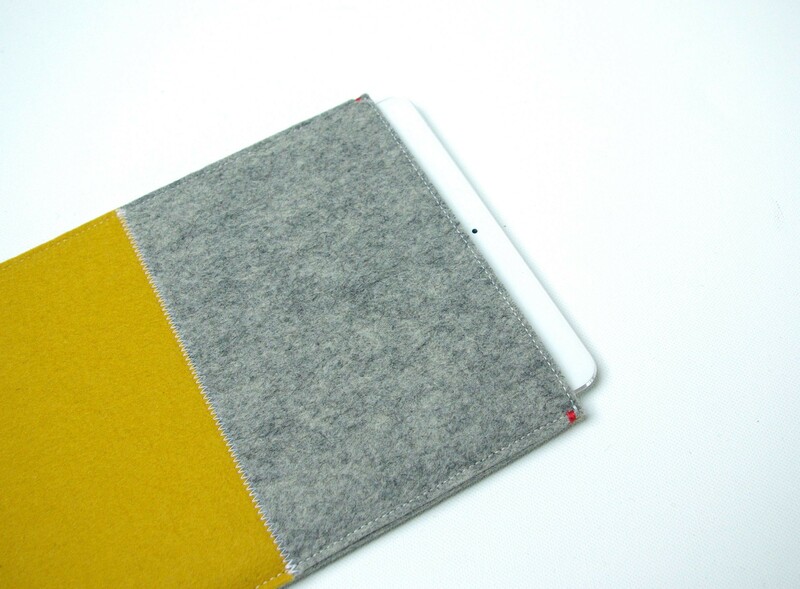 This felt iPad Air sleeve is handmade from high quality wool felt. 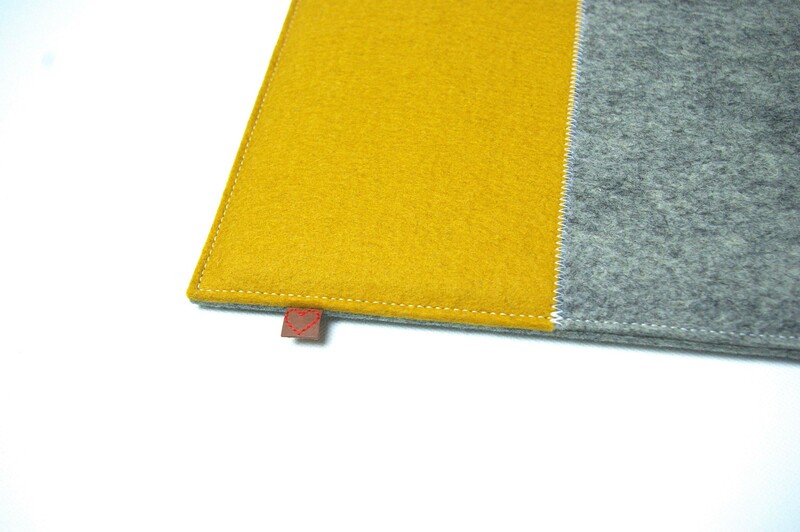 The combination of grey with contrasting colors and a hand-sewn red accent make this iPad sleeve a sleek and stylish accessory. The case is available in dark pink, mustard yellow, and royal blue. The form-fitting design is based on the standard size of the iPad Air. Protect your iPad with this sleek case! 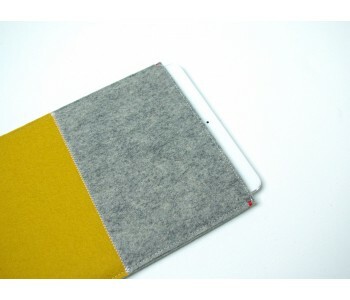 The felt iPad sleeve is made of 3 mm thick and undyed wool felt. The light grey felt was selected for its color prior to the felt-process. Wool felt is a water and dirt repellent natural product made of 100% wool. It is firm and soft and provides excellent protection for your valuable iPad Air. The sleeve is available in dark pink, mustard, yellow and royal blue. The timeless Sleeves from Color Collection of felt covers for iPad, iPhone, MacBook, and Kindle are made from natural materials. The colors and textures of natural felt and leather are a great inspiration for designer Annemieke Westerman. Yet, her designs are characterized by a practical elegance in which form follows function. The stylish felt covers by Westerman Bags are recognizable by the contrasting colors with always a subtle red accent. Westerman Bags loves slow design in which we see a reappraisal of handicraft. 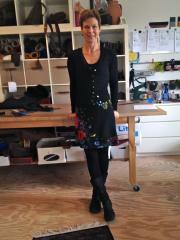 Annemieke makes all her felt sleeves by hand in her studio at home. With great attention to design, materials, details, and process, she personally ensures the sleek finish of each individual item. 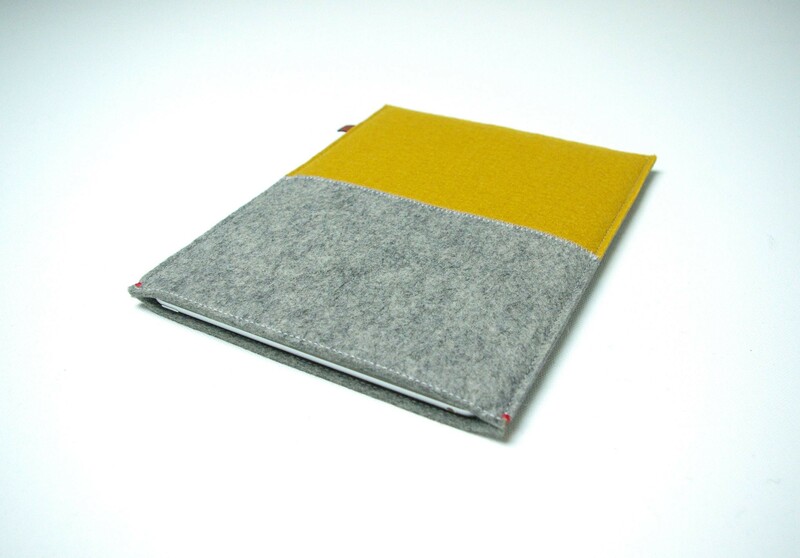 That love for the end product is evident from this stylish, felt iPad Air sleeve by Westerman Bags. Since the introduction of the first iPad Air, accessories in the form of a case or sleeve have grown to become an important fashion category. The sleek felt iPad Air sleeves by Westerman are distinctive fashion items that also serve their intended purpose; protecting your precious tablet. Look for a matching iPhone case or sleeve for your MacBook Air? 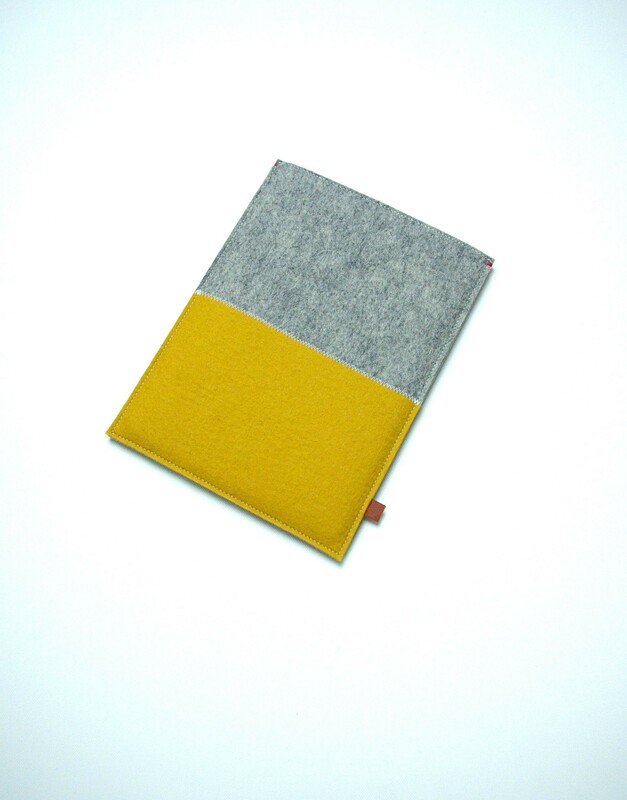 Check out our collection of colorful felt sleeves for Apple products and start combining!